Used Bin Troll Tweets BB. 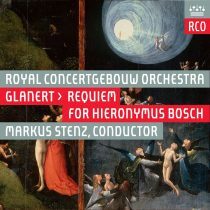 A marauding concert requiem easily mistaken for Shostakovich’s Symphony No. 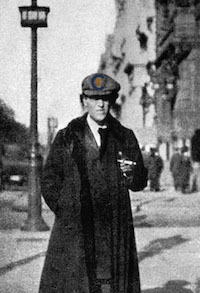 14½. 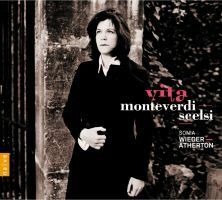 Monteverdi and Scelsi are well paired. Both could infuse a line, vocal or otherwise, with mysticism or elemental passion and create impetuous and visceral statements. 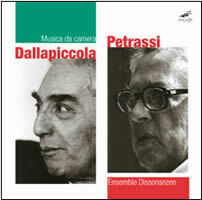 Always-reliable mode’s charming portrait of two influential and beloved mid-century Italian composers begins with Petrassi’s spry Stravinsky centenary offering, scored for mandolin, guitar, viola, cello, double-bass and percussion. 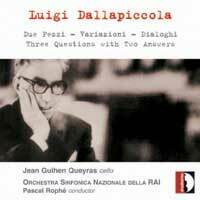 Were one limited to a single term for Luigi Dallapiccola’s music, I would choose enchanted. It poses a paradox: a strict structure with an emotional exterior. 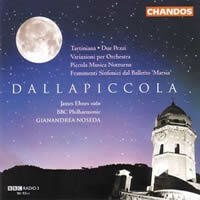 Chandos delivers a stellar, single-disc introduction to Dallapiccola, Italy’s first confident serialist.